The experience of parenting is full of mixed emotions, confusing and often contradictory advice, as well as varying needs among family members. At any given moment, you might be feeling overjoyed by the amazement and wonder of the small people growing in your home. The next moment, you might be feeling overwhelmed by the challenges that inevitably arise while human brains take shape and form the way they do in childhood. Add to that mix a culture that tells you motherhood should "fulfill" you, that you should "savor every moment," and you may begin to let guilt seep in. You love your children. They are the light of your life, after all. So why does it feel so hard to get it together and find joy? This isn't what you thought being a mom would be like. The irritation, the exhaustion, the loneliness. You are, in fact, not alone. There are many moms (and dads) out there feeling all of these things, right there with you. I always tell my clients, "You are not living in your own private freak show; this is a collective experience." AND it's okay to reach out for help. In fact, it's pretty admirable and a great model for your children. If your child were struggling with an academic skill, you'd get him a tutor so he could improve and even excel. If your child wanted to learn a new sport, you'd sign her up for a team where she would get direction from an experienced coach. And if you are bumping up against some challenges in your parenting, I invite you to ask for help, the same way you would for your kids. What will the results be like after coaching begins? When we form a relationship, not only are you getting a coach, you are also getting an accountability partner to help you maintain your new way of being, and a cheerleader who will continuously be celebrating you along the way! Many of my clients begin their journey with me saying they just feel "stuck." They face a variety of challenges, some of which may resonate with you as well. You often think "this is not what I signed up for"
What does one-on-one coaching look like? When we begin our coaching relationship, we will set up either weekly or bi-weekly calls, depending on your needs. During our sessions, I will hold a non-judgmental space for you to share your stories and challenges. 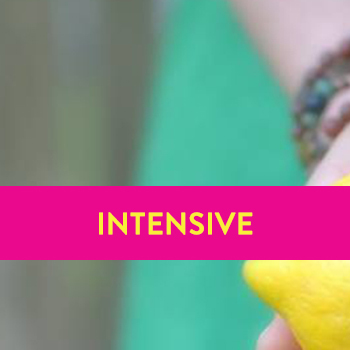 Together, we will explore the underlying beliefs and emotions that accompany your challenges. Throughout the process, you will be seen as whole, creative and resourceful, AND through gentle questioning, I will lead you to more clarity around your current situation. By the end of the session, you will come away with individualized practices for increasing your self-regulation, as well as tools and action steps for creating a climate of belonging and significance in your home. Each time we meet, we will review the action plan from the prior session, and make tweaks based on how it's going and any new issues that have come up. In between sessions, we can check in on your progress via text or email. The coaching relationship offers a safe space for vulnerability and curiosity, as well as the opportunity to be guided in finding our own deep wisdom and gifts. The parenting journey is ripe with challenges, how we are as we face those challenges is a testament to who we are. Our children are our teachers. Deep listening and powerful questions in the coaching relationship will allow you to experience the joy that follows the clarity of exploring the lessons that show up. I will support you as you discover new pathways that allow you to release the patterns and beliefs that no longer serve you and are holding you back from experiencing the beauty of parenthood and being a human in this world. So, are you ready for a transformation in your family? Are you open to doing the work required to create a lasting relationship with yourself and your coach? Are you willing to lean into discomfort and consider the learning that lives there, to keep open communication with your coach, and to recognize that the space held is safe and rich for reflection? Can you make time for co-created practices and actions that support and deepen your learning? Do you value being prompt to coaching sessions, and are you prepared to come ready with a direction with which you would like to begin the conversation? 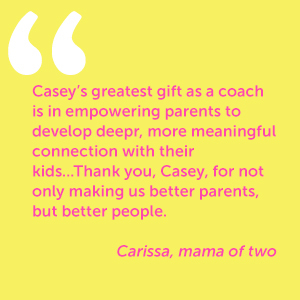 - For parents who want a blast of support and are ready to dig into deep reflection and take powerful action. This option is most effective for parents that are needing more support in the UNDERSTANDING of Positive Discipline. - For parents that desire ongoing support for shifting the climate of their home to one that is more connected, cooperative, and calm. Clients will be encouraged to create practices that connect them to themselves, and also supported in taking action to strengthen relationship with their children. - This is similar to the Integrative Coaching model, with the addition of four monthly check-in sessions.